Indian-origin actor Dev Patel has always been vocal that India is the best place to be and he enjoys coming here the most. He has been generating plenty of buzz for his movie Lion and if sources are to be believed here’s some good news for his fans. It is said that the actor is all set to visit India on the third week of January for the promotion of his film Lion which is scheduled to release on 24th February. Even the real life Saroo Brierley is coming too in India whose much acclaimed book ‘A Long Way Home’ turned into a motion feature and now globally is the most awaited film of the year. There wil be a special premiere in Mumbai, Delhi and Kolkata closer to the release of the film hosted by the Australian High Commission in India. He will also be doing book reading sessions. And will also be going to the actual orphanage where he was adopted from. “We are excited and looking forward to host Saroo Brierley in India in a country where his story and childhood started from. This is literally life coming a full circle for him with the book now turned into an acclaimed motion picture which released in India on 24th February. Saroo will be visiting Mumbai, Delhi and Kolkata and we are ecstatic to be part of his trip to India for such a significant purpose. We in tandem with the Australian high commission are planning a screening, a book reading and a variety of other activities!“, says Avinaash Jumani – founder, Pictureworks. Dev plays the character of adult Saroo who tries to trace his way back home using the surprising power of Google Maps and it’s clear that he is the ultimate star of the movie. 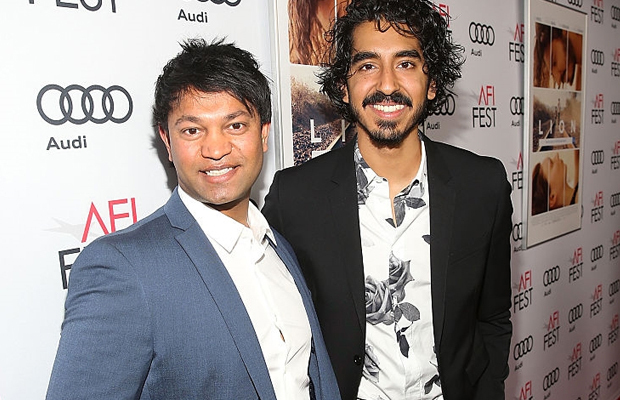 We look forward to welcome Dev Patel and Real Saroo Brierley in the country and we are sure that the film will garner lots of appreciation in India too. Previous article5 Web Series That Married Couples Can Relate Too! Next articleExclusive Bigg Boss 10: Post Marriage, Monalisa And Vikrant Get A Huge Surprise And It’s Not Eviction!